The 26-year-old is his country’s in-form goalkeeper ahead of tomorrow’s friendly with Trinidad and Tobago in Wrexham. Davies has kept six straight clean sheets – conceding just six goals in 2019 – with the Reds second in Sky Bet League One. “I always thought he was an unreal player. But he’s been really good with me. He’s dead easy to talk to and always has time for everyone. I always thought he was an unreal player. But he’s been really good with me. He’s dead easy to talk to and always has time for everyone. 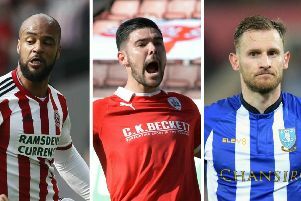 Davies, who was born Germany while his Welsh father was stationed there with the British Armed Forces, has been beaten just 27 times in 38 senior games for Barnsley this term. “I’m hoping to get some game time,” said Davies. “Wayne has been unbelievable, I’ve never seen him have a bad game for Wales but I won’t get too far ahead of myself.